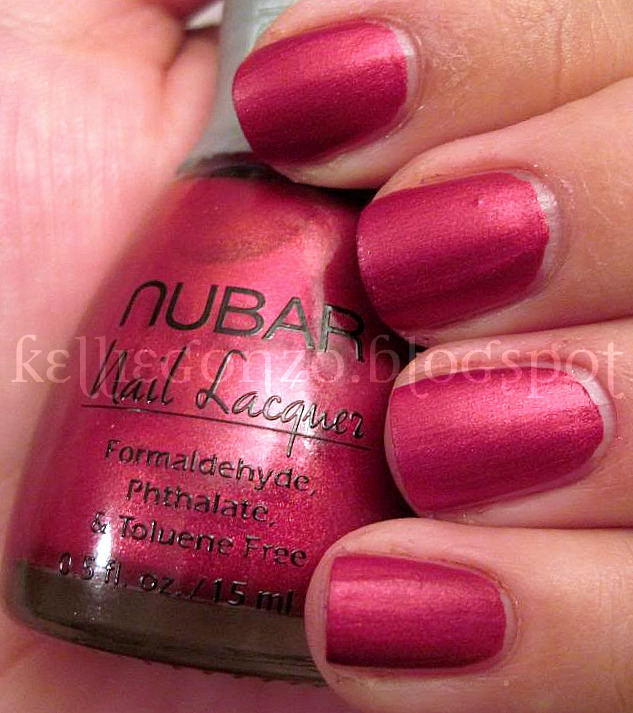 nubar pasadena purple, as made famous by the AWFUL movie "he's just not that into you". slightly metallic, basically a dupe for china glaze's coconut kiss. i couldn't help getting brush strokes. didn't like. boo. also it was hard to get accurate coloring in these pictures. purples are hard to photograph, people! 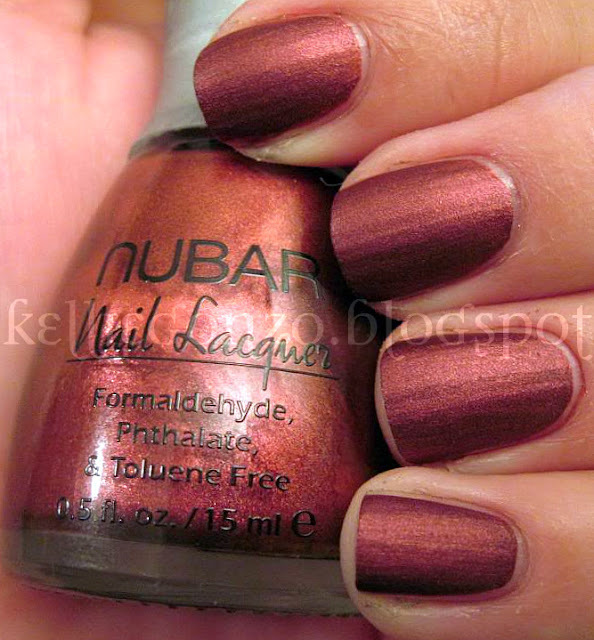 avant-garde is a dark reddish brownish russet matte. 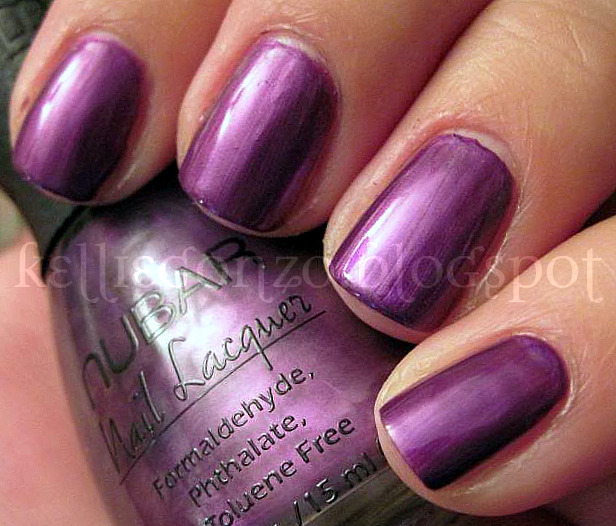 these all spread really easy, kinda like the OPI suede collection although they dry a tad bit faster IMO. 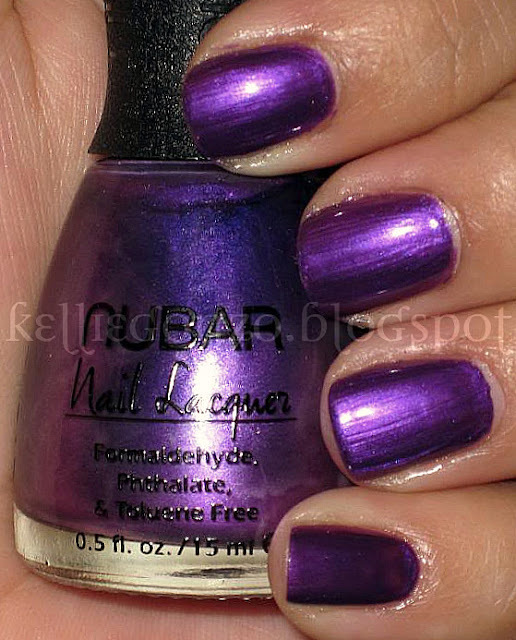 prevail is a dark purple matte. contempo is a bright tomato red matte, more orangey than pinky like this pic. this one is the only one i had semi trubs with applying. vital is a plumberry matte that i think was my favorite of the collection. easiest to apply too! geez can you all believe that may is almost over?? i can't. i'm going to be 24 in less than a month! holy crap i'm getting old! !